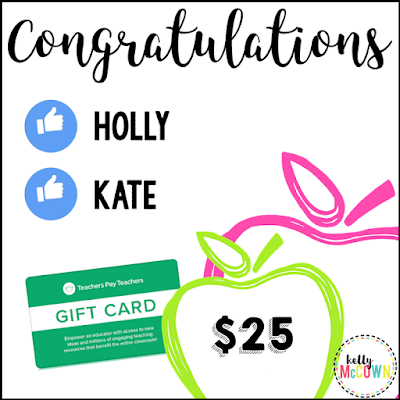 Congratulations to Holly and Kate! They each won a $25.00 TpT Gift Card for their classroom. How did they win? They receive the exclusive VIP teacher resources email every week. When you sign up you will receive $25.00 in FREE math resources for your classroom and be subscribed to the VIP teacher resource email. Every month teachers win gift cards, receive math resources for the classroom, and more! Join today! Download FREE teaching resources valued at over $25. Sign up for the exclusive email and get your FREE math workshops, games, puzzles, and more today! No spam. Just FREE teaching resources.